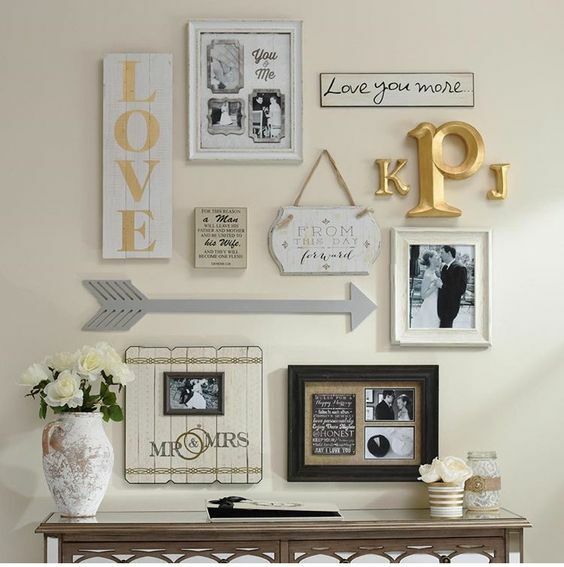 Thinking about doing up a wall in your home and in need of some gallery wall inspiration? Well, look no further cause I have some here for you my friend! 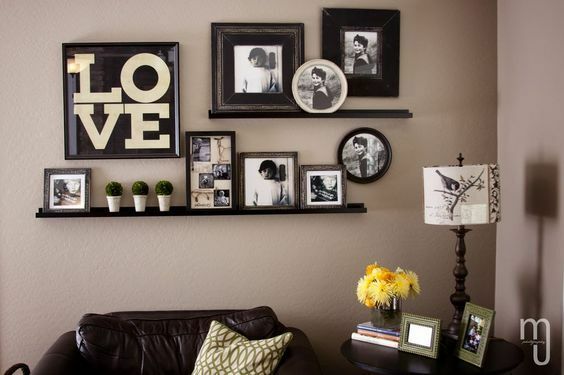 Gallery walls really are not a new thing. But leave it to Pinterest to make an old thing new. 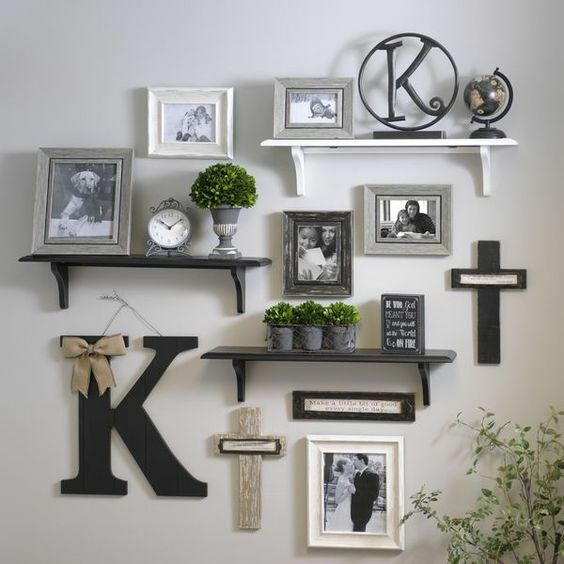 Remember back in the day going to grandma, big momma, or even auntie's house and when you walked into the living room she had all the pictures of all of the kids, grandkids, their artwork, and what seemed like everything that they had ever been given by anyone they loved? 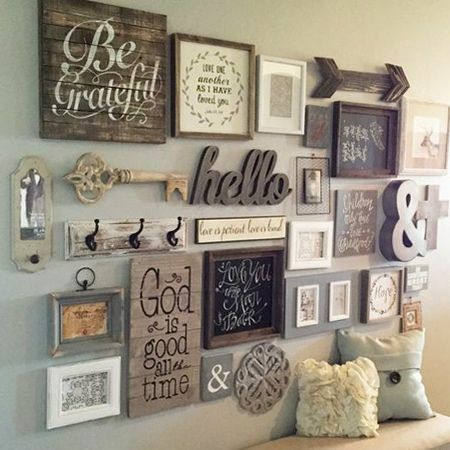 Yea, that was a gallery wall…. But now in all our modernness, we have redone an old thing and made it new using all kinds of color, texture, and themes. And I JUST LOVE IT! 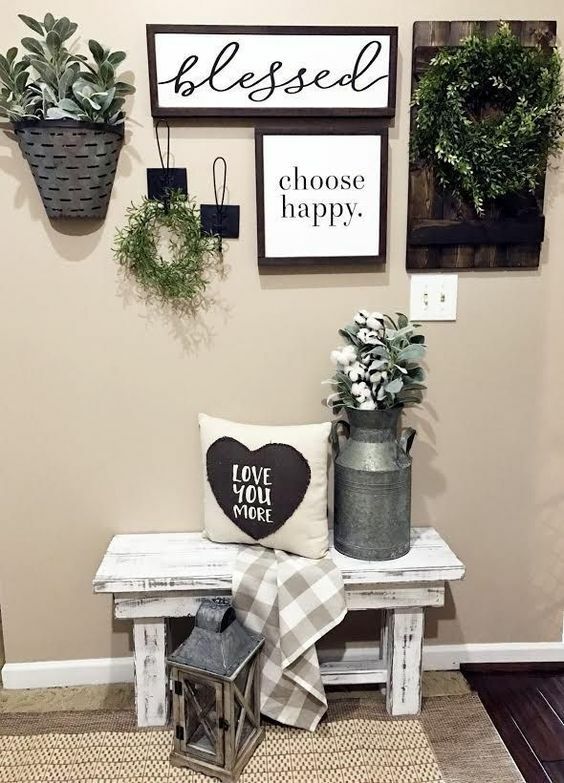 I have been working on a few different ones in my own home and I often times take to pinterest to get ideas and get help thinking about how I want it to look and feel. And y'all know I love sharing the goods, so I have it here for you. I love the family being the center of this one and the non-traditional elements. I also love how the vent looks like it is part of the gallery. 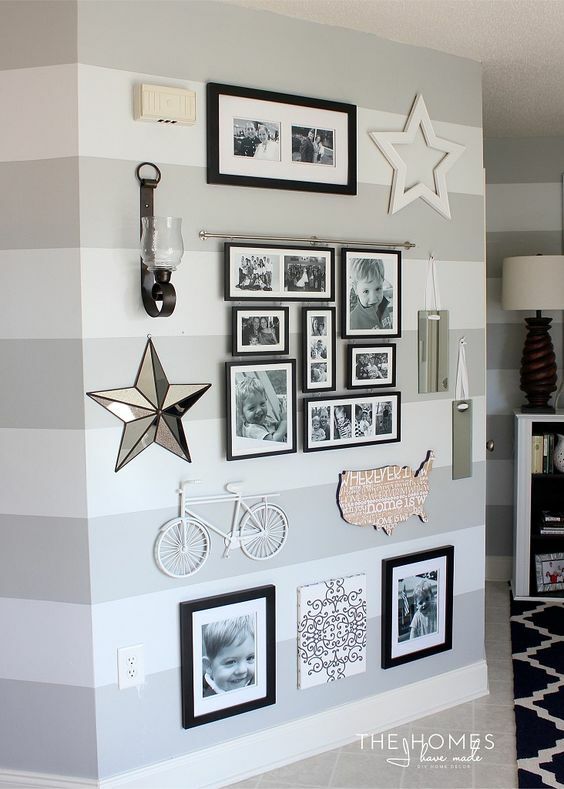 The striped painted wall is beautiful and the perfect backdrop for this gallery wall. And Then there is the frame collage in the center. It is so adorbs! This one has an awesome vintage-y feel. I love the colors and the overall aesthetic. This one is like whoa momma! In a good way. ALL OF THE THINGS! It has a farmhouse vibe to it and you know I love farmhouse. And then those hooks that you know aren't gonna get used but are perfectly placed! I Love…. Simple and classic. You can never go wrong that way! 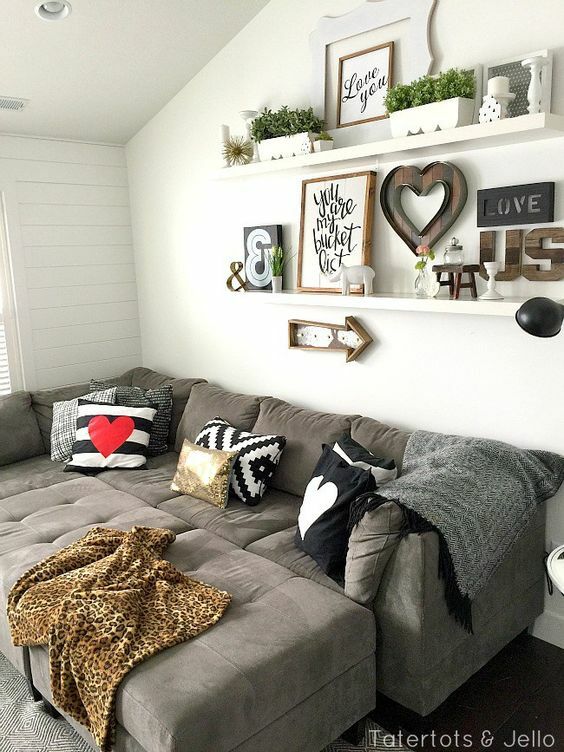 One of the walls that I am planning to do I think would be best served up with shelves. Shelving adds extra texture but also a bit of order and guidelines in the structure of the overall design in my opinion. I absolutely love the black and white aesthetic with this one! 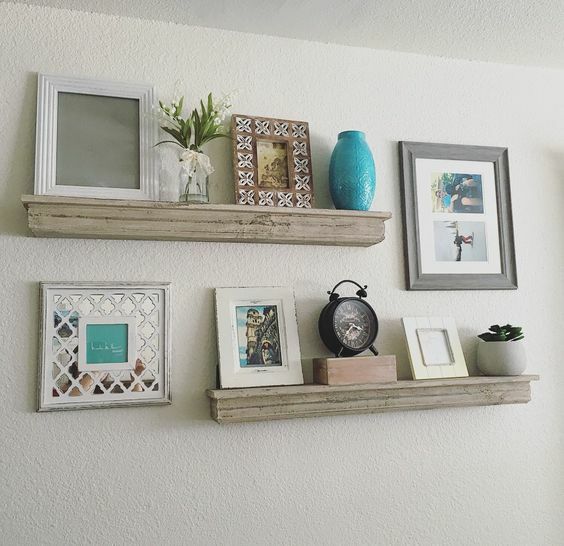 The shelves are perfectly misaligned and proportioned. This one has that seaside/lake house vibe. The pops of turquoise in here makes me love this one all the more! Wood. Succulents. 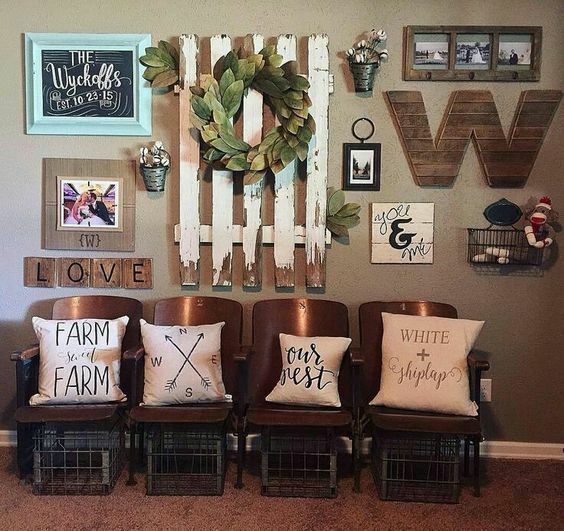 Farmhouse vibe. Just beautiful. Mor black and white, which just screams timeless to me. I love the incorporation of the crosses and the nuetral color vibe! I love seeing unexpected elements in gallery walls. Antique windows. Door pieces. Fencing. 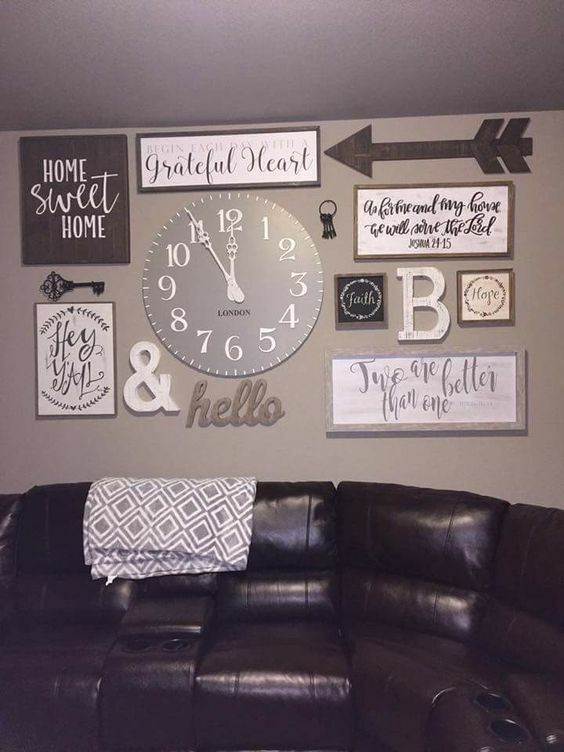 Large Clocks. 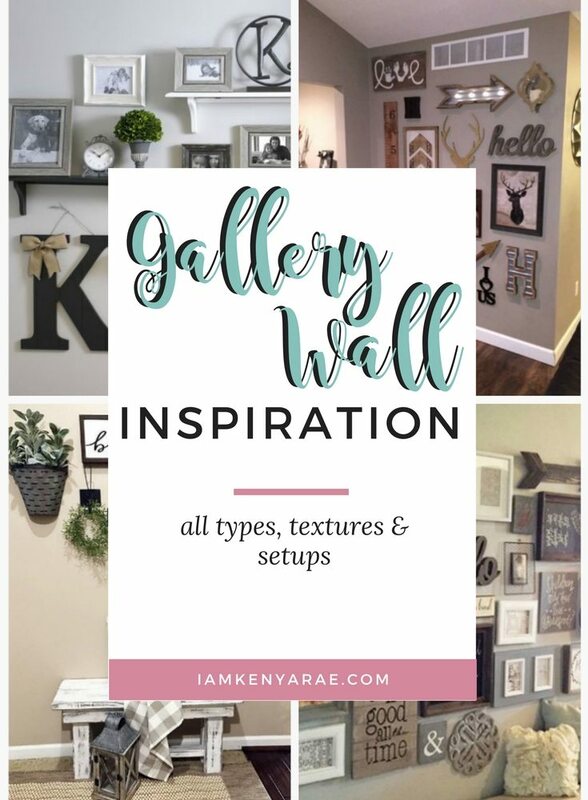 All Kinds of things have been seen adding design and texture to gallery walls across the interwebs. How cool is this window thrown in here? I love not only the window but the fact that its an irregularly shaped window and it works! They said I am gonna take a piece of this old fence and hang it on the wall. And it is gonna look fab! And they DID THAT! I love it! Who says the white picket fence has to be outside to be the fairy tale! 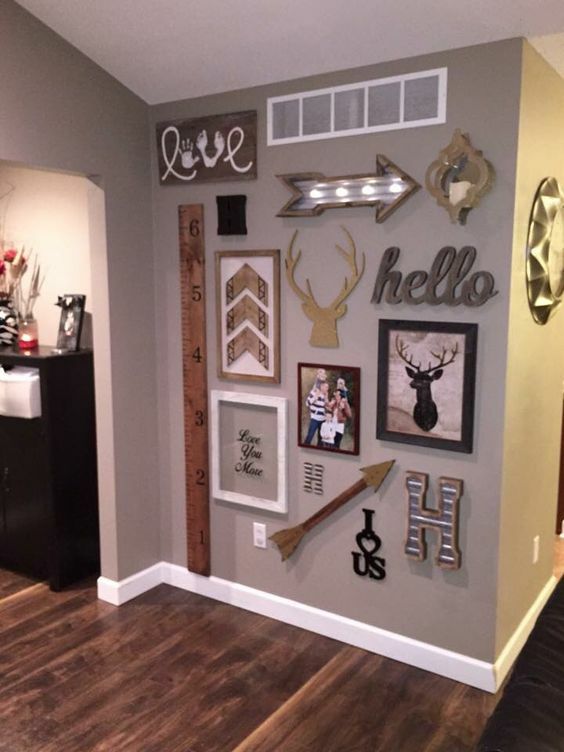 I love this awesome huge clock dead smack in the center of this gallery wall. It is perfect in this gallery of inspirational words. I love the simplicity of this one. The wreath. The words. The vintage feel. And galvanized metal is awesome every where. 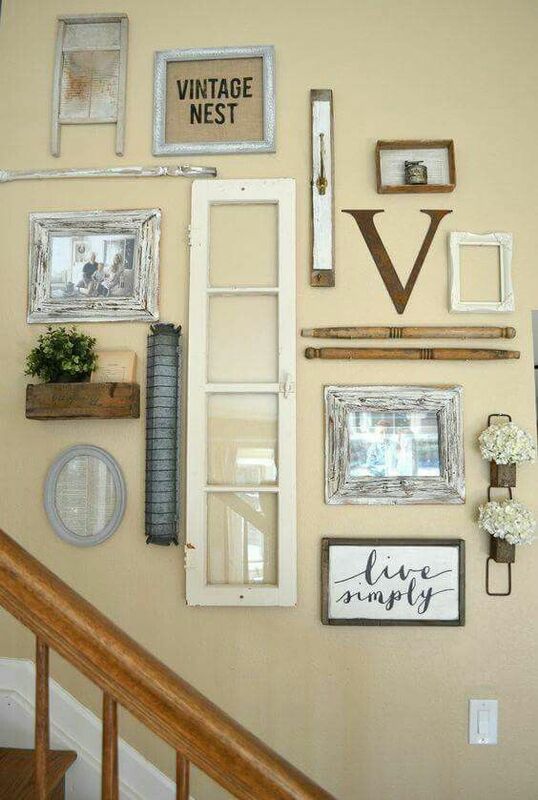 Live in an apartment or rental home and think you can't do it because you don't want to put holes in the walls? Think again! 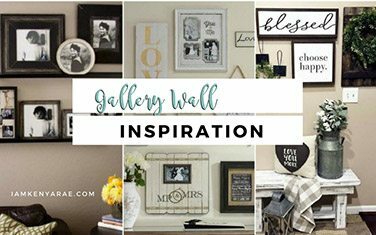 Now that you have been inspired, go forth and create those gallery walls friends! Aww guess what you still can!!! Check out that link on doing theme without making holes or dmaanging the walls. If you really want to! All of these ideas are perfectly arranged! Love it!! There’s so much inspiration out there. And they aren’t hard to do! Thanks for stopping by! ???? Wow. I love all these ideas. Your walls are amazingly beautiful… I am going to save this and come back to it. Sounds great! Thanks you for visiting! Ohh man I love gallery walls!! These are beautiful!! 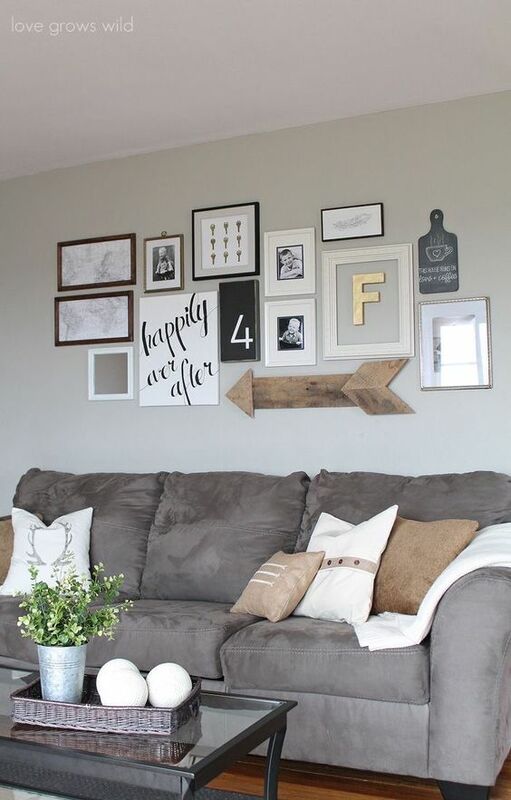 A good gallery wall can make a house feel like a home. The inspiration pics you chose really are super trendy. That is the truth! And I am all about turning a house into a home! !